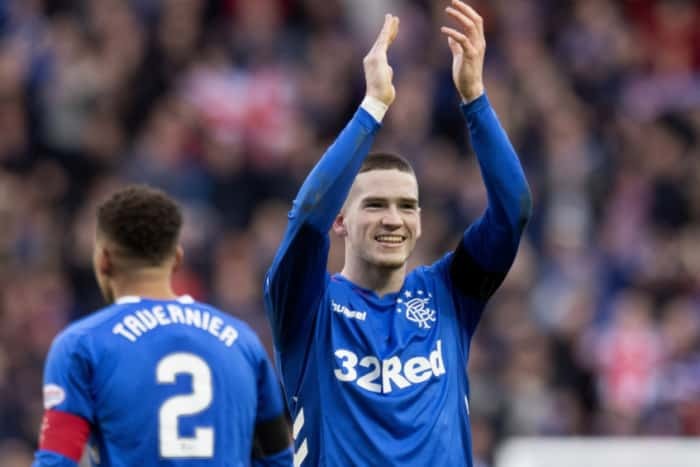 Rangers fans reading headlines today would be understandably fearful that star man Ryan Kent was going to return to parent club Liverpool following a concession on assistant manager Gary McAllister’s part that the Anfield side are very much aware of their player’s performances at Ibrox. However, nothing in this interview confirmed one way or the other Kent’s likelihood of leaving, and is simply fearmongering and negative headlines for the sake of hits. "The fact is, Ryan’s still a Liverpool player so it’s a decision for Liverpool, isn’t it? ‘Will he be here next season? It would be nice because we’ve seen the benefits of having him here but he’s Liverpool’s player. We keep asking the question but it’s up to them. They’re very much aware of what he’s doing up here. I’ve seen a massive change in him here. He’s a delight to work with. It’s great to see someone I’ve known for a few years blossoming into someone who can be really special. I first came across him when Brendan Rodgers brought me to Liverpool. He was electric. I could see why some loans didn’t work for him but there was massive potential there. His levels have gone up at Rangers. He’s gone from being a shy young man to a proper man." Change the name ‘Ryan’ for ‘Greg’ (Docherty) and ‘Liverpool’ for ‘Rangers’, and this is the kind of comment any loanee club would make of a highly-performing player. Despite Docherty’s stellar first six months at Shrewsbury, Gerrard signed Glen Kamara and Steven Davis regardless. Liverpool are hardly struggling for attacking options, despite how well Kent is doing. It may be he does return – he’s an extraordinary player on his day. But nothing in McAllister’s comments claim that to be the case. Docherty has to be a Definite Pick when he come see back! We aren't likely to have Kent next season. Liverpool will most likely send him to a championship side. Why would they send him to a Championship club, especially when it has failed in the past. At Rangers he will play at a big club in front of full houses competing for trophies and playing in Europe. A perfect education for life at Liverpool. Never say never, but I agree, we might lose him. The boy is a rising star. But I thank him for his contribution to our season, whether he stays or goes.